So who’s bright idea was it to get married right after Christmas? Oh yeah, MINE! I might be slightly regretting that decision now. Seriously, do you know how expensive it is to find hotels, flights, or cruises between Christmas and New Year’s? Not only is it more expensive than other times of the year, but wait until the last minute and you might as well just buy the entire hotel, plane, or boat. We do this every year. We reach Thanksgiving, remember that it’s only a month until our anniversary, schedule something last minute (2 or 3 weeks out), then say that next year we’ll try to get something planned earlier in the year. So did we get to planning earlier this year? Nope. Yet again, we waited until the last minute (literally) to decide what to do. We were still looking for flights and hotels up until Christmas hoping to snag a cheap last minute deal. But because I’m a cheapskate, there was no way I was going to pay the equivalent of 5 seats on an airplane for my one seat…and then still have to pay for Brent’s seat, too. So Brent suggested we just drive to Santa Fe. On the Wednesday we were leaving we pulled out of the driveway, headed to get gas, and then decided we were going to go to Las Cruces first. How’s that for last minute? Why Las Cruces? FOOD! NEW Mexican food. You see, Brent and I are both from New Mexico. Born and raised. Then our professions drew us to Texas…the land of Tex Mex. 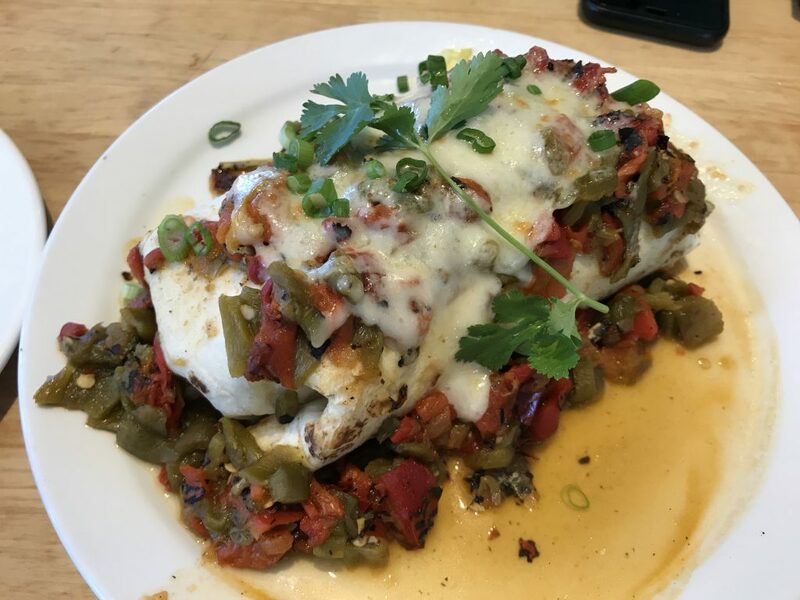 Don’t get me wrong, we like most Tex Mex, but it’s definitely not NEW Mex. 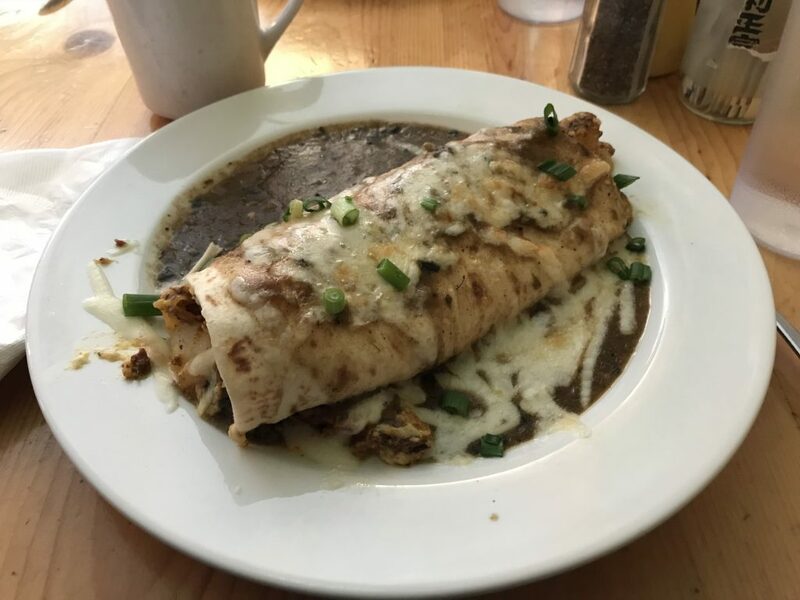 Can you say “green chile”? No, not salsa verde. 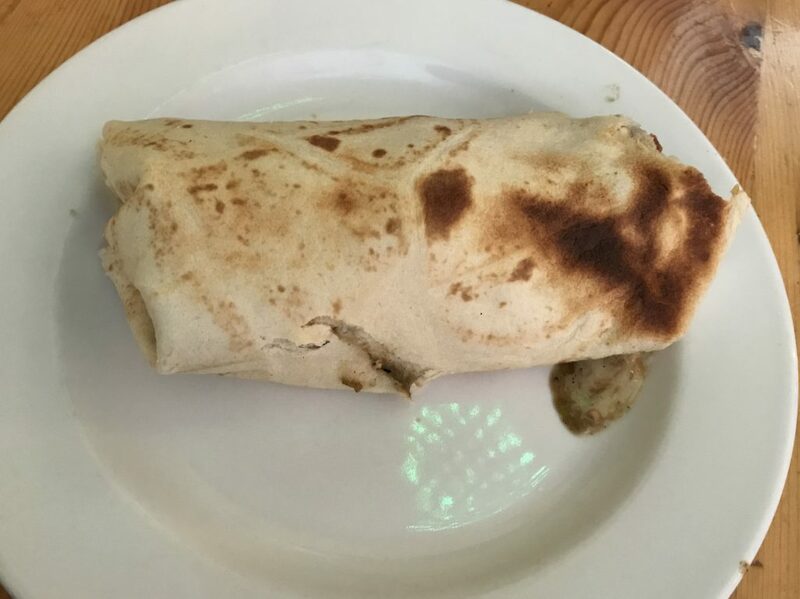 No, not green chili. GREEN CHILE! 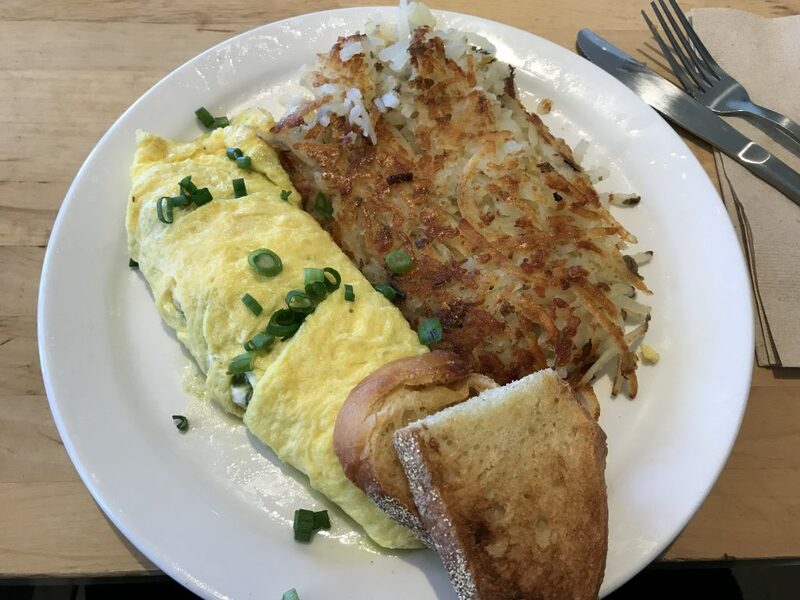 That stuff pretty much goes on everything…including breakfast. And that’s how New Mexicans like it. We even bought fresh green chiles at Sprouts once, had them roasted, and took them home and threw them in the freezer so we could have them whenever we wanted. 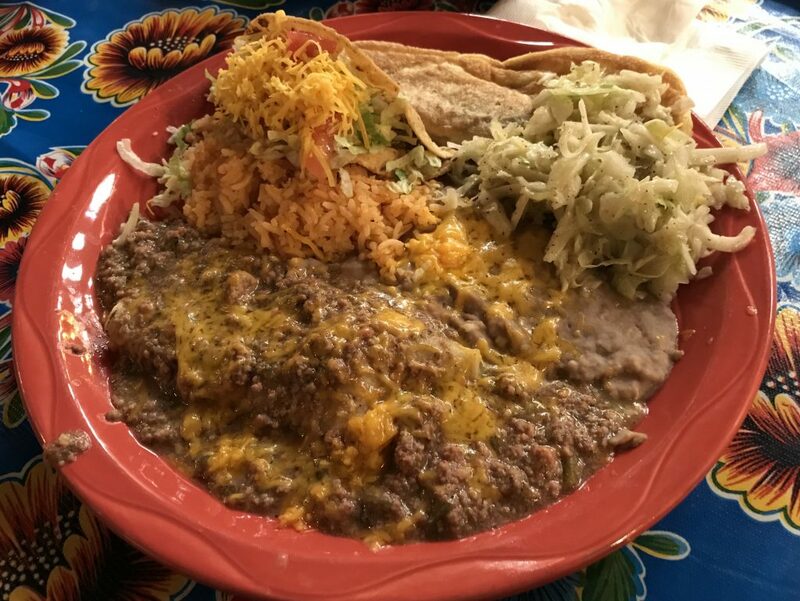 Yes, it’s all about the green chile…and maybe sopapillas, too. 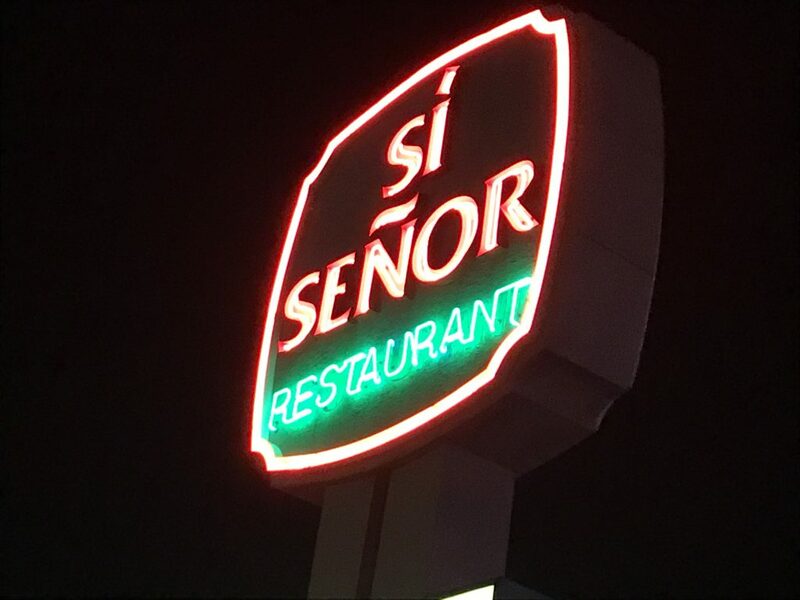 So our first stop as we pulled into Las Cruces was Si Señor. This was always my favorite restaurant in Las Cruces. I love their tortilla chips and 3 varieties of salsa (red, green, & green chile sour cream). It seems that since the last time we visited they’ve added a bean dip to the mix. The chips were a bit stale this time which was a total bummer, but the salsas and dip didn’t disappoint. 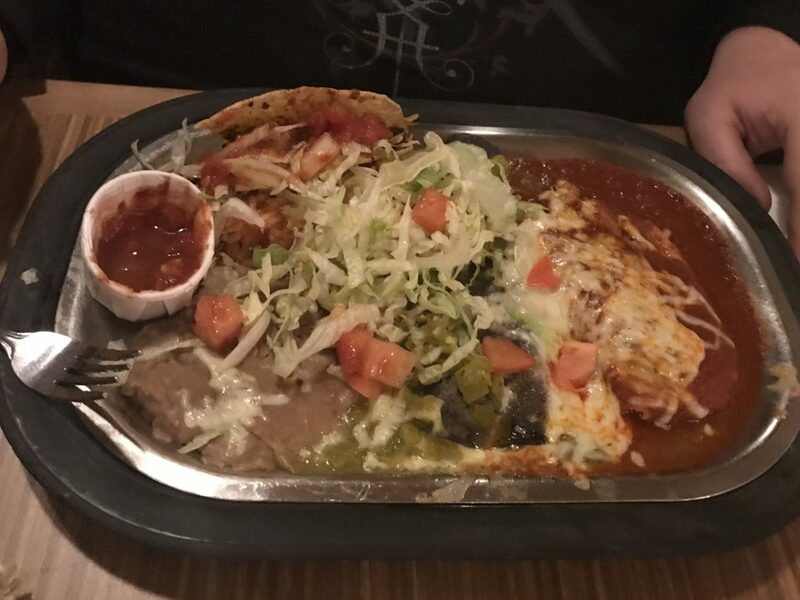 For entrées, I ordered the stuffed sopapillas and Brent ordered the fajitas. And then there was dessert…sugar dusted sopapillas with honey. Yum! Everything was a delicious start to our anniversary trip. Our trip to Las Cruces was going to be short and sweet, so we really didn’t do anything other than eat and get checked into the hotel. 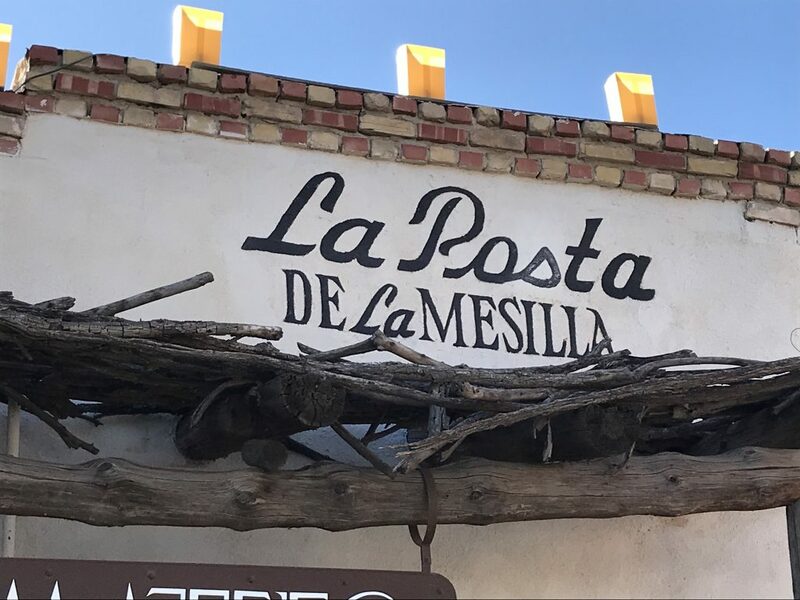 The next day we chose to visit La Posta in Mesilla for lunch. WHY did Brent never take me to this place all the years he lived in Las Cruces? It is definitely my new favorite. Sorry, Si Señor! Brent got the combo plate and I got the shredded beef taco plate. Mmmmm, so good! 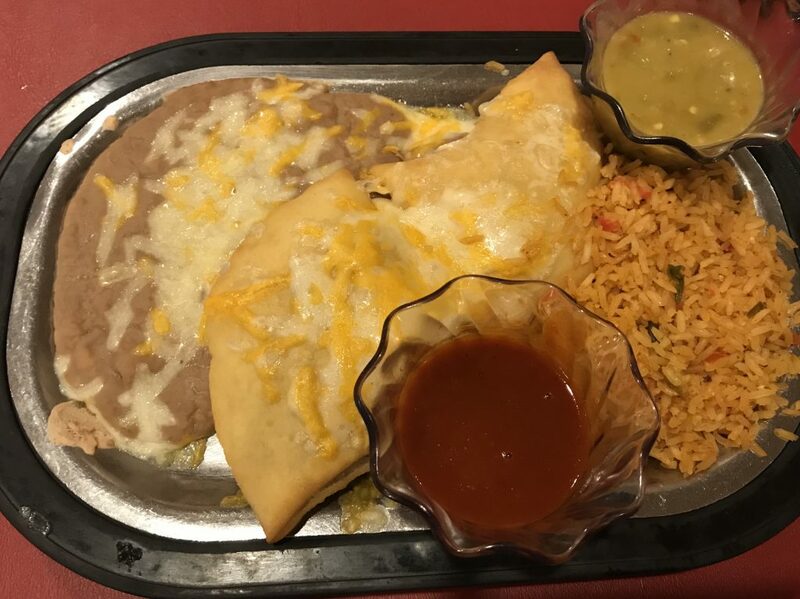 If I could combine Si Senor’s salsas with La Posta’s entrées and Si Senor’s dessert sopapillas, I would never leave the restaurant. Then off to Santa Fe we went. 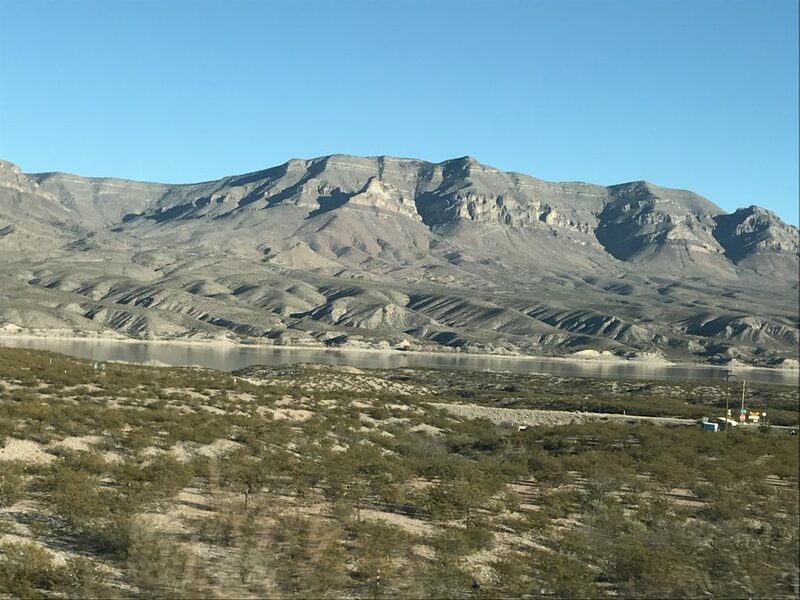 Check out these beautiful pictures! They were taken from my iPhone, with no filter, and through my passenger side window. Much more beautiful than the part of New Mexico where we grew up. You’d think in December there would be snow all around, but it just happened to be warmer there than it was back in Texas. The day before, while traveling to Las Cruces, we had found a little place to stay in Santa Fe that was listed on AirBnB and was fairly inexpensive. So we booked it for the rest of our stay in New Mexico. 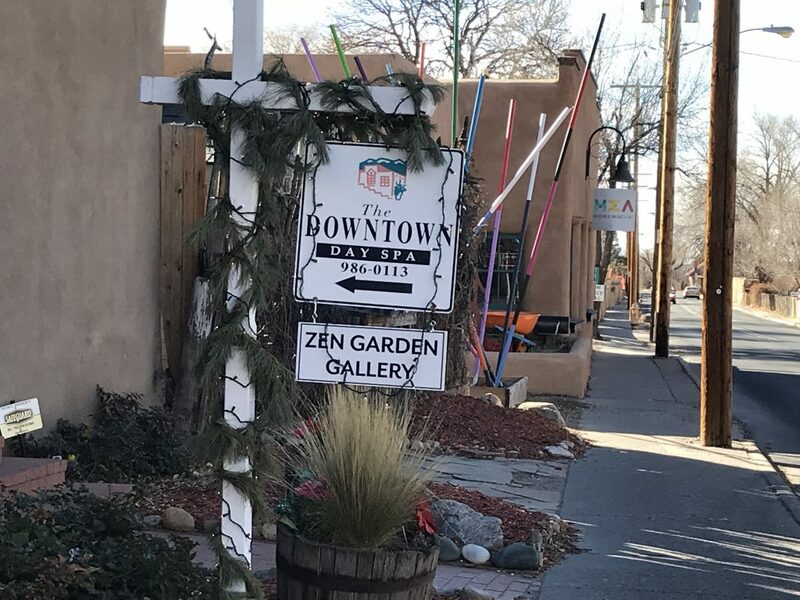 It was located about 10-15 minutes outside of the downtown area of Santa Fe, and it was just a detached bedroom and bathroom on the side of an older gentleman’s house. It was very nice and cozy. I enjoyed laying in bed watching HGTV and was surprised the next morning when I went into the bathroom barefoot and the bathroom tile was warm. Our host had even stocked the refrigerator in the closet with Coke, water, and beer. We drank most of the water and left the Coke and beer for the next guests. Friday morning, Brent took me to Tune Up Cafe for a late breakfast. This place was tiny and super packed. If you ever go, be prepared to sit really close to the people at your neighboring table. Our food choices? A smothered burrito for Brent and a non-smothered burrito for me. It was all delicious, but I regretted not getting mine smothered. After our meal, we decided to head for the Santa Fe Plaza to look around. This is a great area to check out if you like to shop. 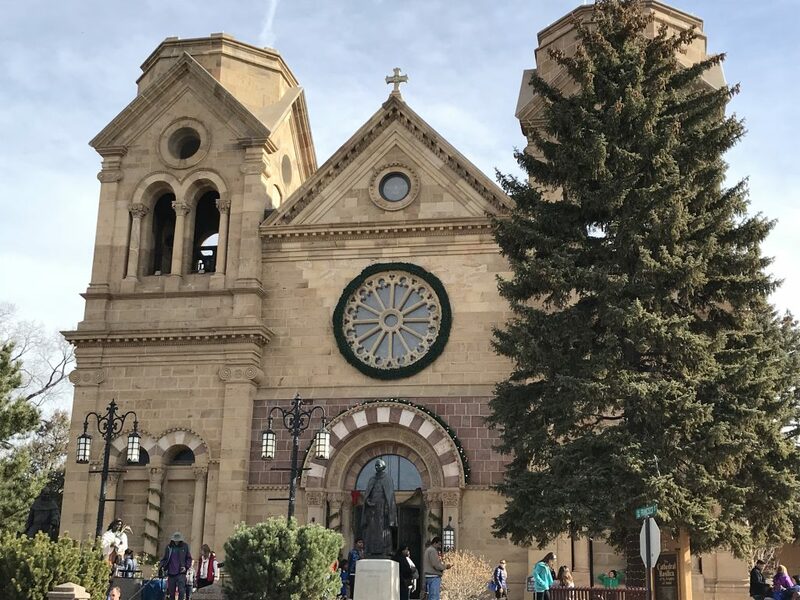 If you venture a little further from the main plaza, you can stop in and tour the Cathedral Basilica of St. Francis of Assisi. It’s a beautiful church. 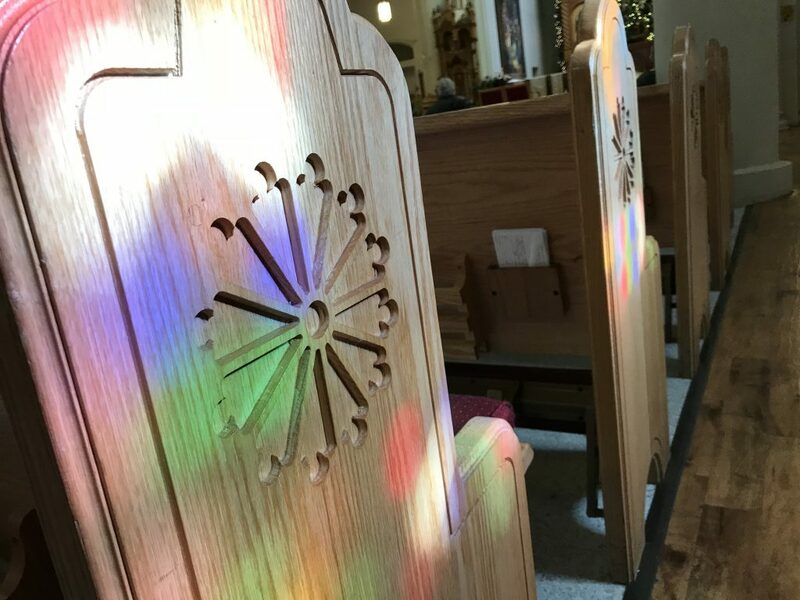 We timed it just right to see the sun coming through the stained glass windows projecting their colors onto the pews. After walking the Plaza, we headed to the movie theater to check out Downsizing. We figured it was appropriate since we will be moving into our RV soon. Let’s just say, don’t waste your money to see that movie. We seriously thought about sneaking into a different movie so that we could get our money’s worth; it was that bad. 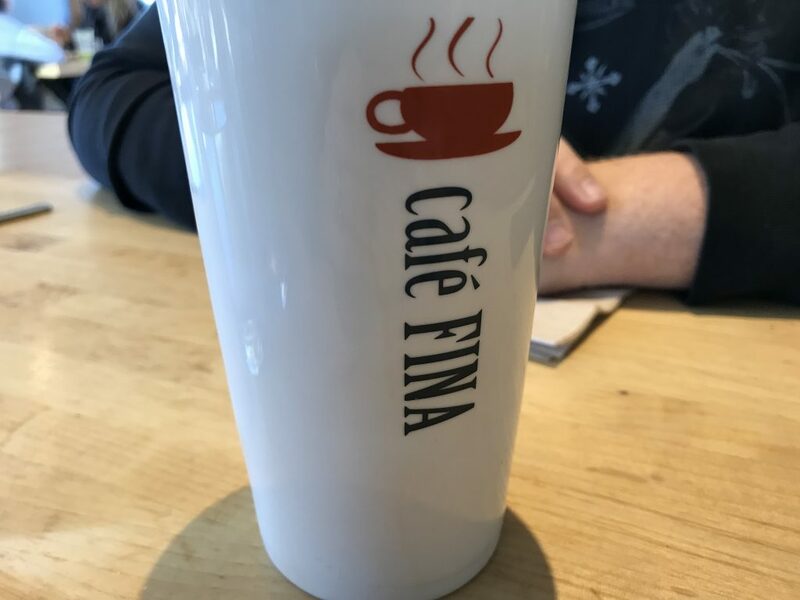 Saturday, we had another late breakfast and chose to stay close to our AirBnB location and try Cafe Fina which was recommended by our AirBnB host. Brent enjoyed coffee and another smothered burrito. 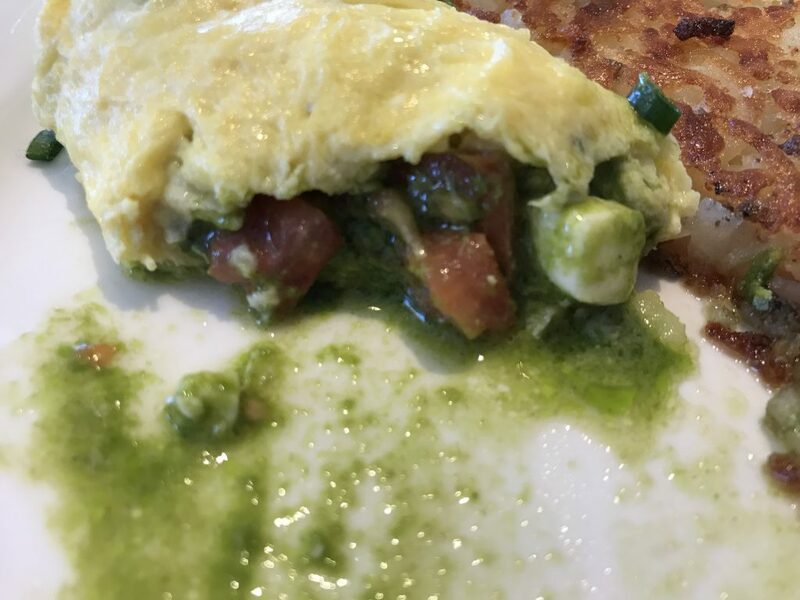 I went with something a little different: tomato, mozzarella, and pesto organic egg omelet. Mine was amazing! So amazing that I had it for breakfast on Sunday, too. Saturday was going to be our relaxing and pampering day. 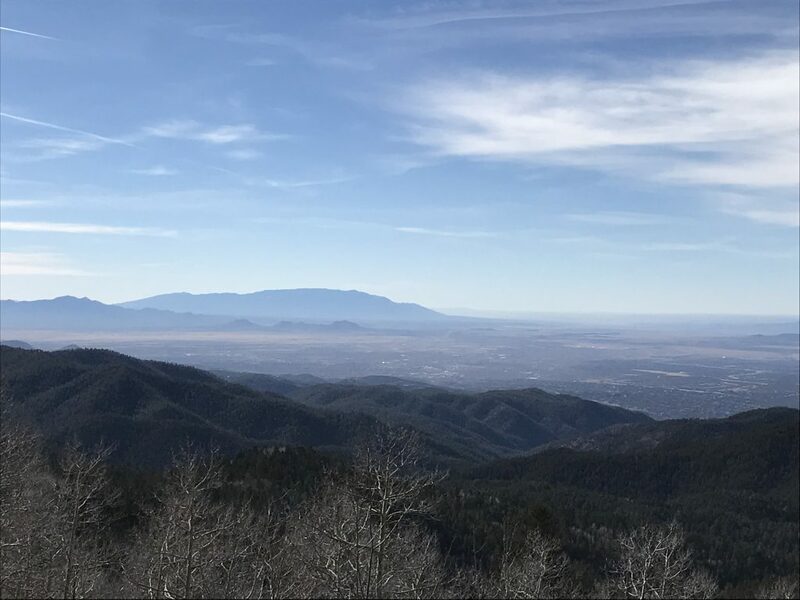 So after breakfast we drove up the mountain to see the Ski Santa Fe area. Surprisingly, there were quite a few people skiing…on the fake snow. We stopped at a few nice areas on the way down and took some pictures. 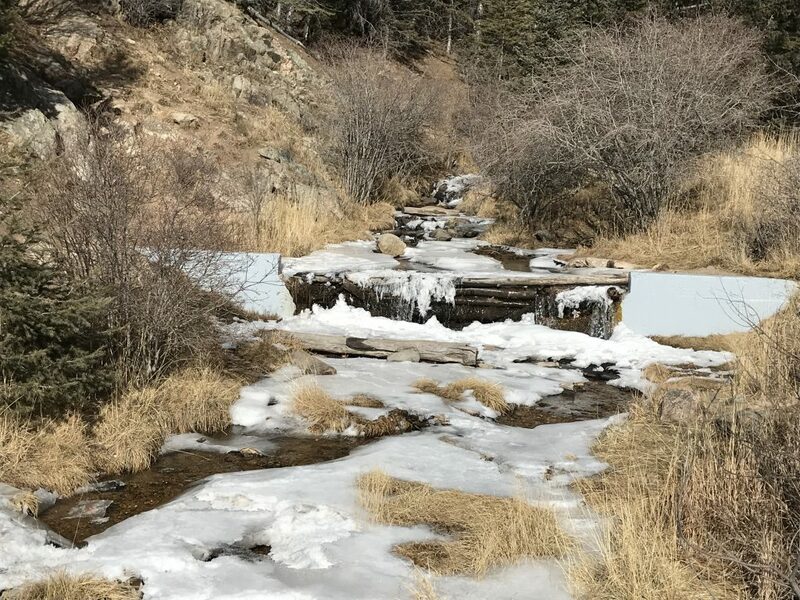 There were some areas coming down the mountain where the temperature dropped enough to freeze the streams. When you got close you could hear the trickling water underneath the ice. After that, we headed for our afternoon pampering session. I found a Groupon for a local day spa that offered 3 services each for 2 people at over 50% off of their normal charge. We’ve been a bit spoiled in the past. As a chiropractor, I have massage therapists I can trade services with on a regular basis. However, our most recent massage therapist and friend moved away a few months ago and we were in desperate need of care. We felt like we were cheating on her and really didn’t think anyone would be able to compare. I have to say, we were pleasantly surprised with our massages that day. I would highly recommend visiting The Downtown Day Spa if you’re looking for a little bit of pampering. 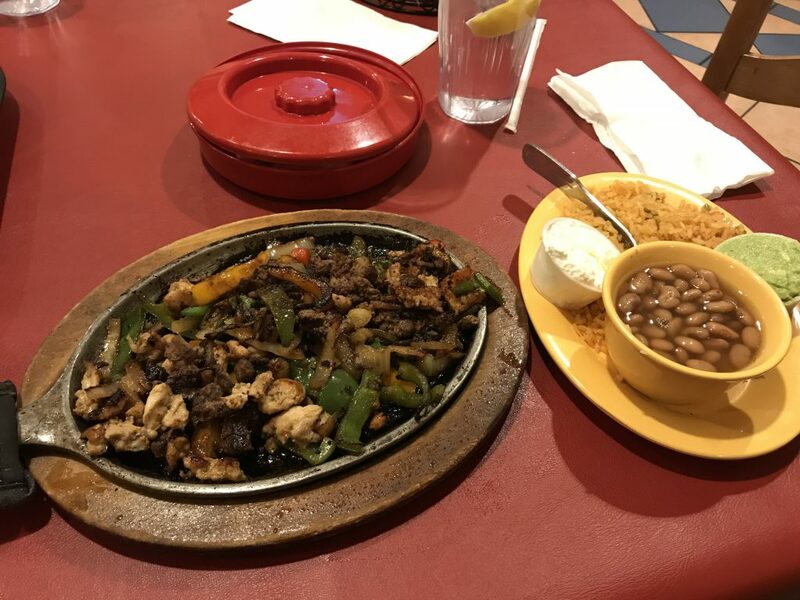 Knowing we were leaving the next day, we had to have a New Mexican dinner Saturday night. 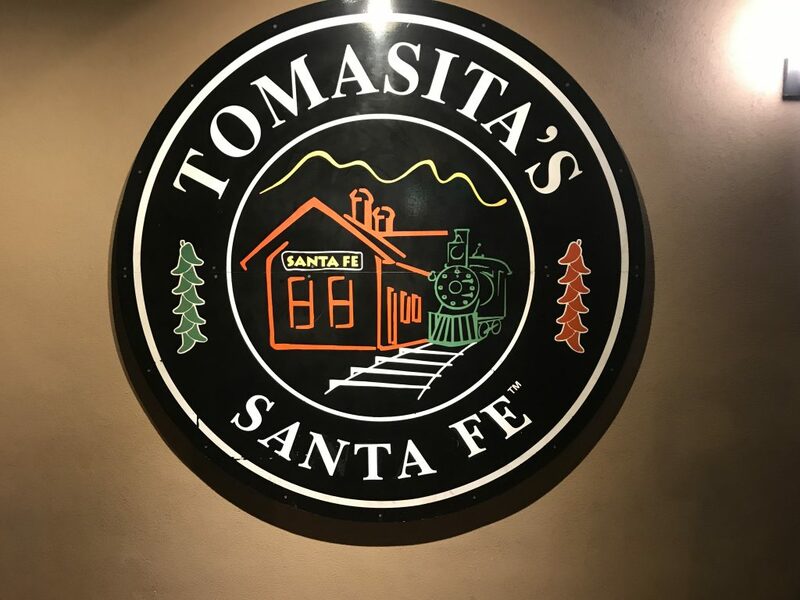 Tomasita’s was the restaurant of choice. Should you ever decide to stop in at this place, don’t go on a Saturday night at 6pm when it’s windy and cold outside. The hostess quoted us a 1.5 hour wait…and let me tell you, it was ALL of that 1.5 hour wait plus a couple of minutes. And there’s very little room inside the restaurant to wait, so we ended up going back out to the car to wait. The food was definitely worth the wait though. One thing you might need to be aware of before you go to this restaurant is that you will pay for everything. 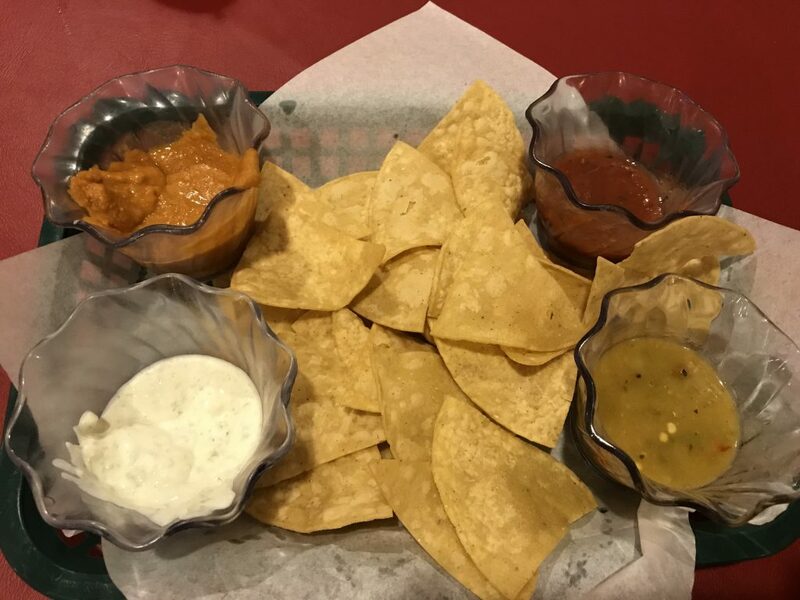 Most mexican food restaurants bring out chips and salsa as a complimentary start to your meal. There is a charge for chips and salsa here. 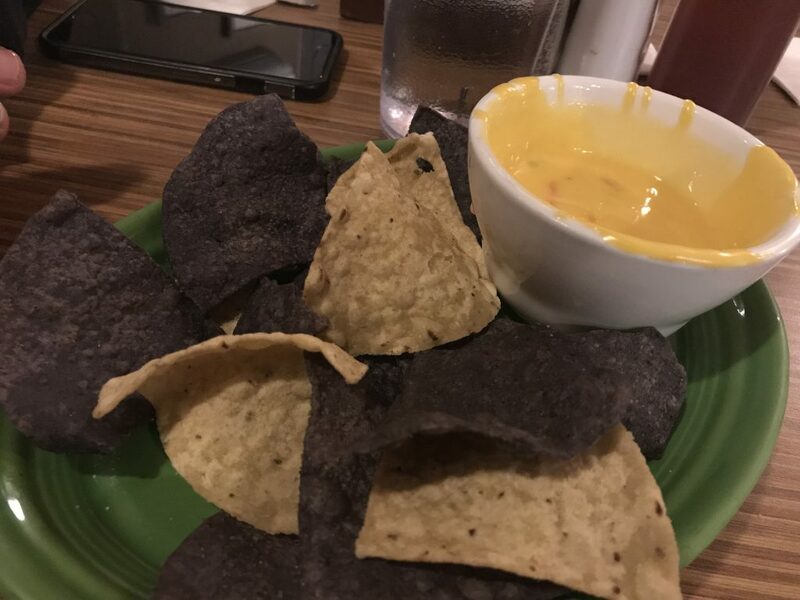 We decided to go with the chips and queso since we’d be paying either way. For entrées, Brent got a combo plate and I got the tostadas. 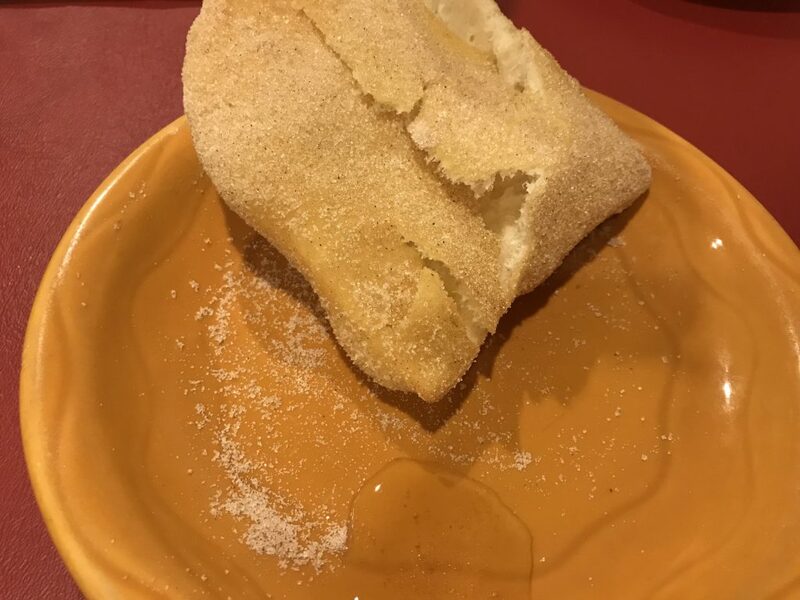 And of course, there’s always room for sopapillas at the end of the meal. They were light and flaky and yummy. Seriously some great food! I decided that I could probably retire in Santa Fe. 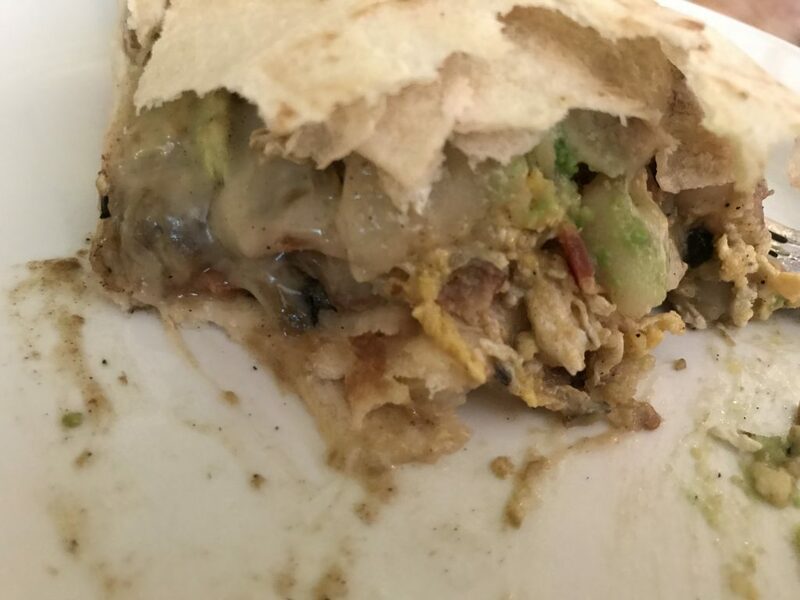 I’d be perfectly happy with all of the New Mexican and organic food options, and I’d fit right in with all of the older hippie types who live there. And the adobe houses…I just love them, but I’m not a fan of every house being brown. We’d definitely need a bit of color. 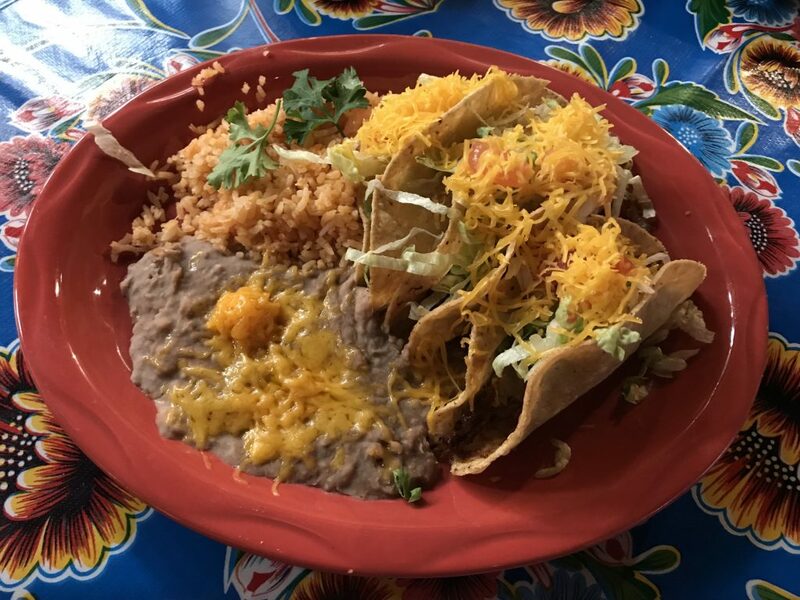 Have you taken a foodie road trip through New Mexico? Tell us about your favorite places so we can try them next time! Yum! I’m drooling from all the good food pictures. I live in the southeast so I am always so surprised by the terrain on the other side of the country! Looks like a completely different (but gorgeous!!) planet! My husband and I recently discovered the wonders of a spa day while traveling – glad you guys decided to do that too. It’s the perfect way to end a vacation! I love the terrain in the southeast too. Everywhere has something beautiful about it. And yes, the spa day was much needed. Oh my goodness this food looks sooooo good. Mexican is my favoooorite! I know right!?! It’s my favorite too! Omg everything looks so delicious! I love eating my way through a new place! Glad you enjoyed your trip and gave me so much to look forward to when I go to New Mexico!! Yes, I could eat my way through every new place we visit…but I’ve got to hold back. If I didn’t want to go to New Mexico before, I surely would want to visit now. It is such a beautiful place to see in pictures, and that food looks so delicious and is making my mouth water so badly right now. Next time you’re in Las Cruces you should check out ThaIndia. It’s absolutely delicious with high quality ingredients and their pad Thai is out of this world. I might be biased as it’s family owned, but try it! I’m not much for Thai food, but somewhere new is always good to try out! Thanks for the recommendation! 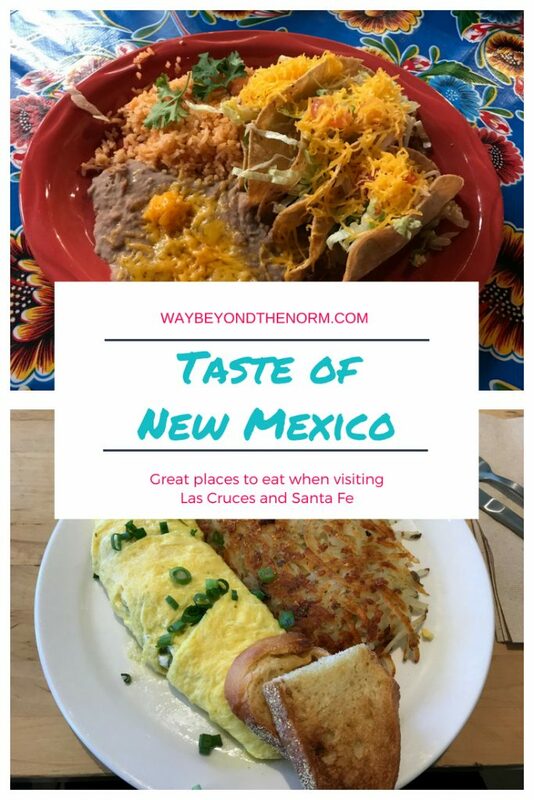 Now I want to eat my way through New Mexico! 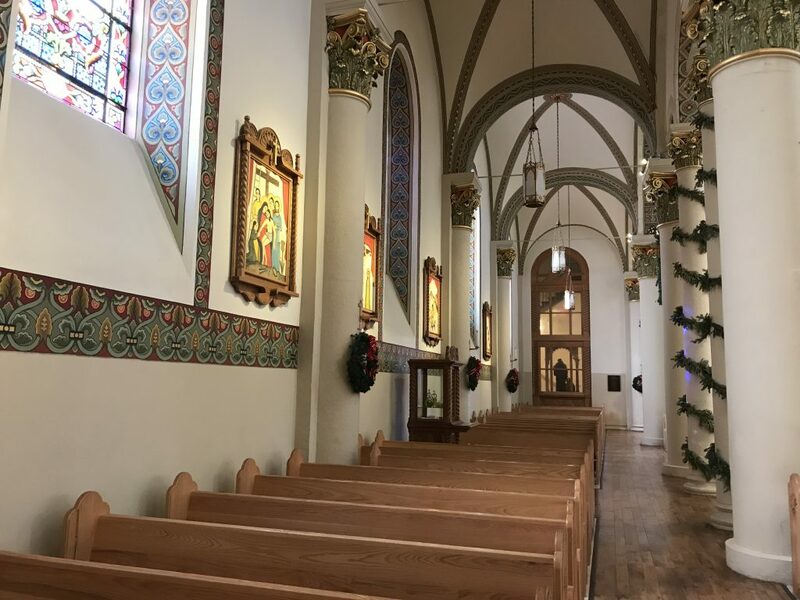 That Basilica is gorgeous too! What a fun trip, I’m one state away and never considered doing this! New Mexican food is THE.BEST!!! Oh my goodness, I should not be reading this just before lunch! All that food!!!! Ha, ha! 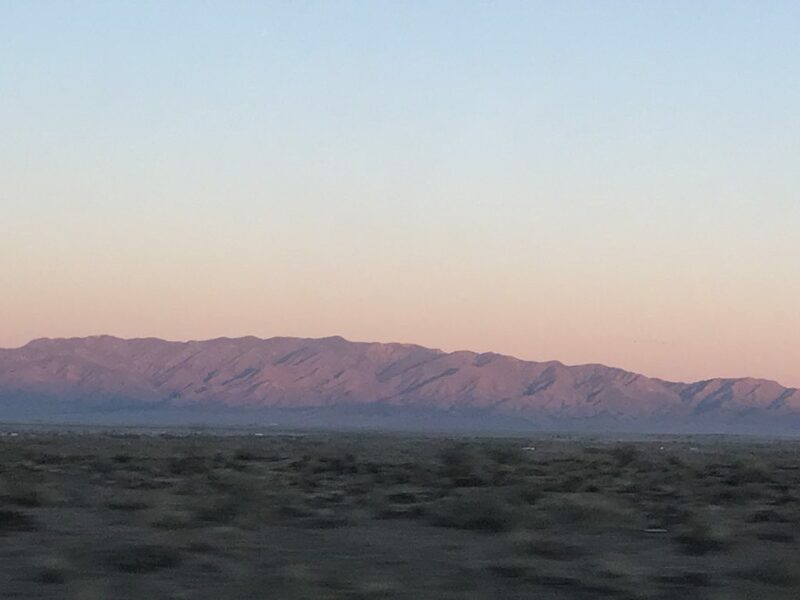 I know…I can’t even make myself go back and read this post very often or else I just want to run straight to NM for some good food! Love your blog! I love your intermingling your trip with your food experiences. Exactly what I am doing! I was just telling my hubby that this post is the one on pinterest that has the most action. Everyone loves food! Wow, that is quite a lot of food. 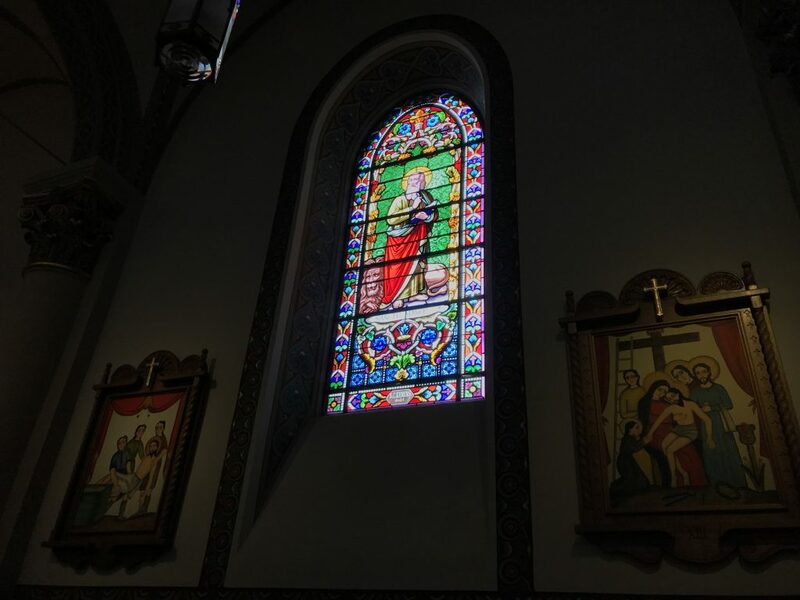 The pictures in the church made me smile, and light reflecting through the stained glass onto the pees is definitely eye catching. I like the picture of the ice, too. Yes, it was a lot of food. We told ourselves it was ok since we were only eating two meals a day. LOL. Not very healthy for us, but it was sooooo good! Wow, the food looks delicious! Our anniversary is 12/22 so I hear ya. We have started going on our anniversary trips right after the New Year when it is cheaper and less crowded. Definitely cheaper and less crowded after the holidays. We may do that for our next anniversary. I say cruise time! Oh man, I miss living in the south! 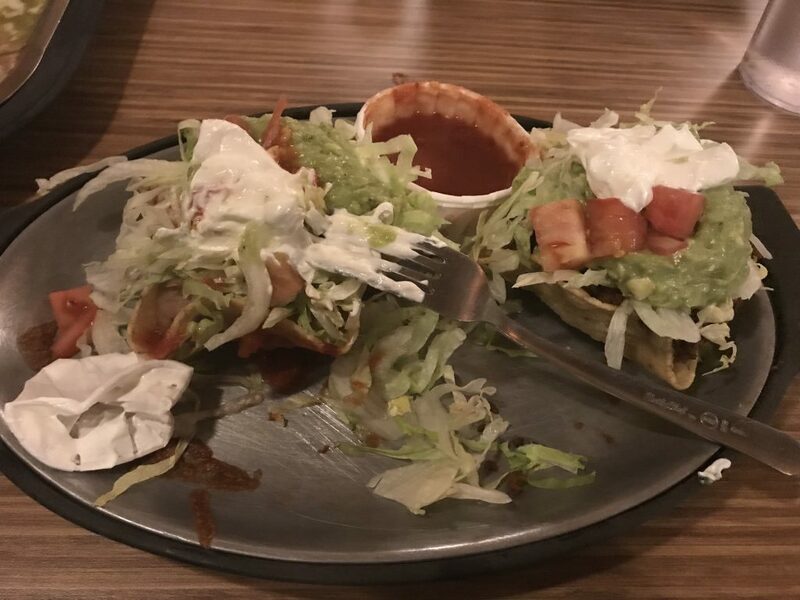 I’m from Texas so I love a good Tex-mex, but you’re right…the food in New Mexico is definitely different and definitely delicious. It looks like y’all had a great anniversary trip! It was a very good and yummy trip!